This is the closest point to Fraser Island from the mainland and is usually where tours depart from. It is a great place to stay a few days either side of your tour and has a lot to offer itself. 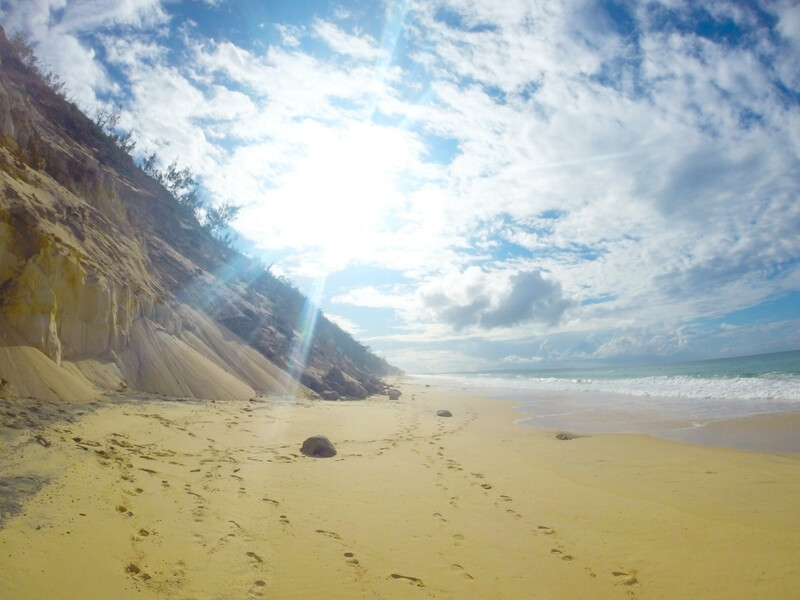 By car, rainbow beach is a short 1.5hr drive from Noosa. By plane the nearest airport is Hervey Bay, however this is 3hrs away. If you’re camping, Holiday Village is the best location. You can park right on the beach with a beautiful view of the water. However there was only one grill for the entire campsite and you had to pay for it, which is unlike most other places. If you don’t mind being slightly out of town, Inskip point has incredible camp ground for only $5 a night. This is on the way to the ferry point to Fraser Island and is surrounded by bushland and beach. This campsite is literally on the water, however it only has toilet facilities. In terms of hostels, Frasers Backpackers and Dingos are on the main street and are always quite popular. This is one of the most spectacular and peaceful beaches I’ve ever seen. 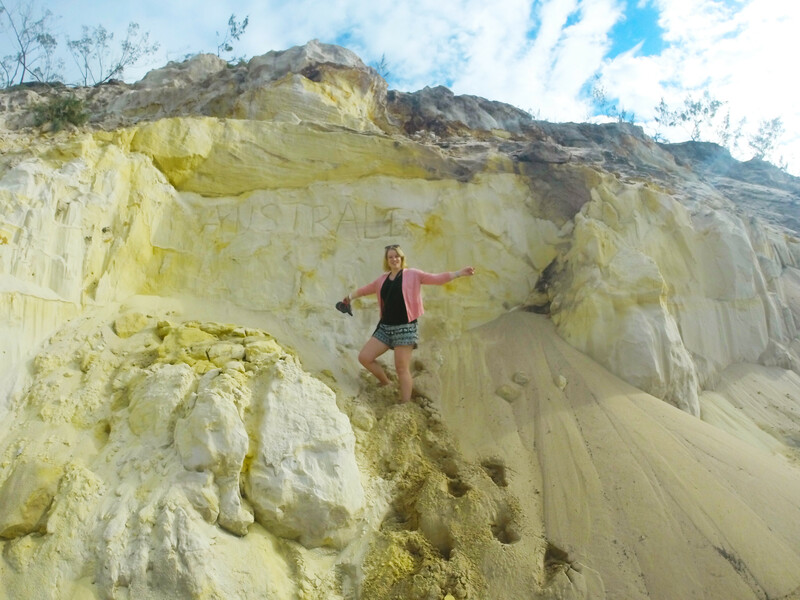 Walk along the beach from the Surf Club for 20-30mins and discover the stunning coloured sand cliffs. Along the beach you will see black boulders on the sand with messages and pictures carved into them as well as into the cliffs. Before asking how it’s possible to carve into stone, don’t be fooled- these are all made of sand! Run up and down the sand dune cliffs and enjoy this empty and serene beach. You can easily spend an afternoon on the beach. A few turns behind the Holiday Village is the entrance to the sand blow. Walk through the rainforest for 10mins and suddenly you will see an enormous open sand blow. Walk to the end of the blow on the left and there will be a view of the entire Rainbow beach bay and beyond that will leave you speechless. This is a beautiful area to sky dive as your flight will capture Rainbow Beach bay and Fraser Island on the ascent, and a beautiful beach landing on the descent. The prices here are cheap and you can book late notice, just visit the tour store on the main road. As it is a small town, there aren’t a lot of options in the way of going out and places close at 12am on a good night. Fraser Backpackers or DIngos are the place to go and the bars are open every night. Otherwise, try the Sports Bar a block behind the main street petrol station. 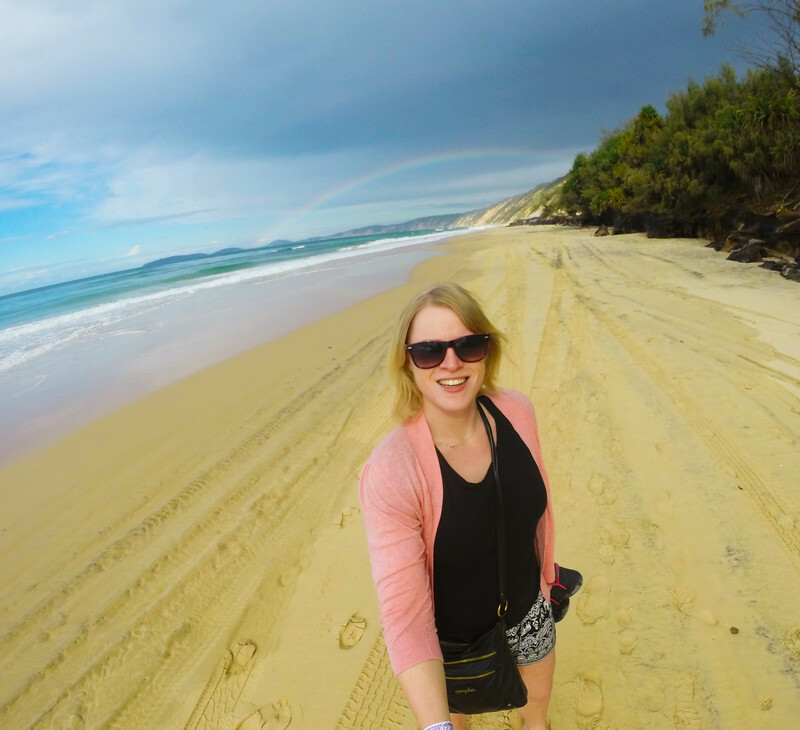 On weekends, check out the Rainbow Beach Hotel. It’s full of young locals, has a live band playing and a nice outdoor courtyard. I would sped 3 days here to fully explore the hidden gems of the surrounding areas. 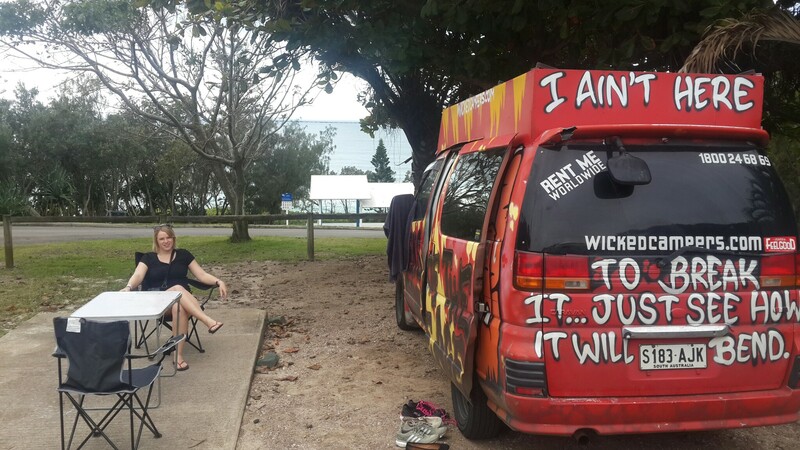 This entry was posted in Australia, East Coast, Queensland and tagged Australia, beaches, camping, East Coast Australia, Fraser Island, Queensland, Rainbow Beach, Sunshine Coast, surfing. Bookmark the permalink.